A variety of trains are featured in this gallery, a few from around our hometown area of Geraldton and others taken during the first part of 2007 covering a different locos/ trains seen on our travels. ZB2129is seen reversing a loaded ballast train back towards Mogumber during the recent resleepering project. Photo taken at Gilingarra on 1 June 2007. Q4019 rounds the curve through Windmill Hill cutting with the Murrin Murrin train to Perth on 3 January 2007. 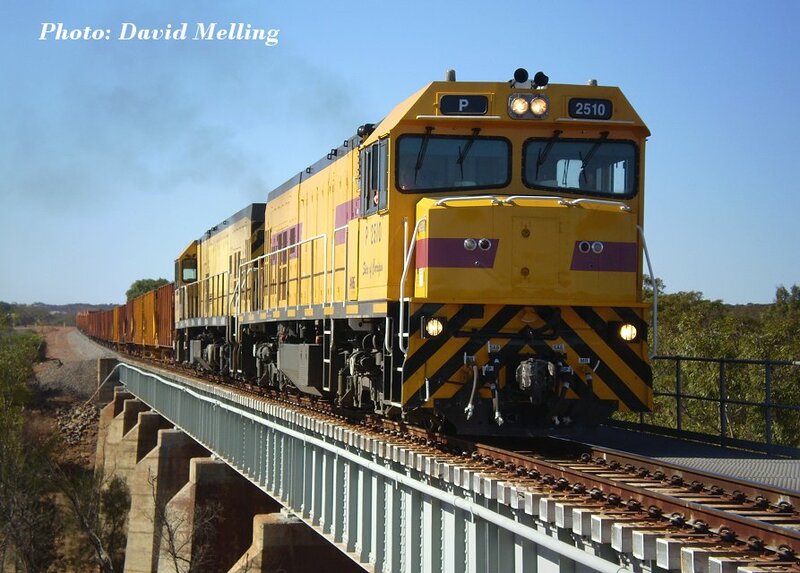 P2511/P2508 cross Eradu Bridge over the Greenough River with a loaded iron ore train on 19 May 2007. 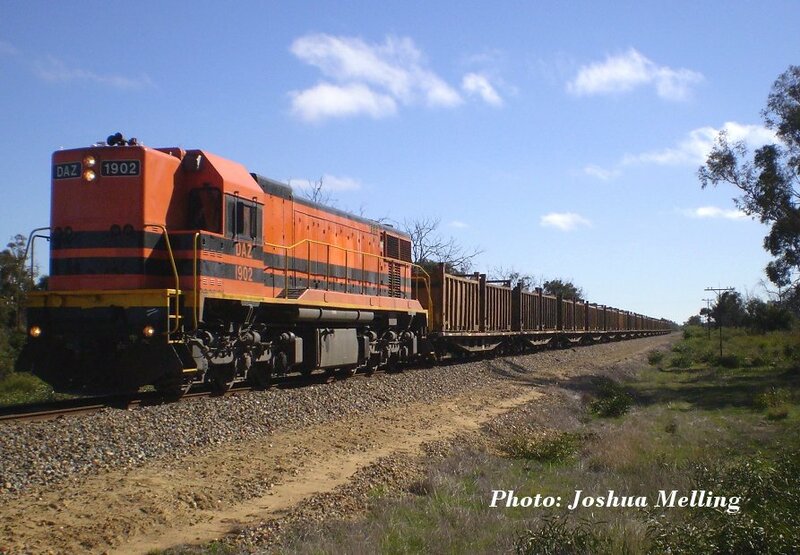 P2511/P2501 on an empty coal train through Yardarino (between Dongara & Mingenew) on 24 March 2007. 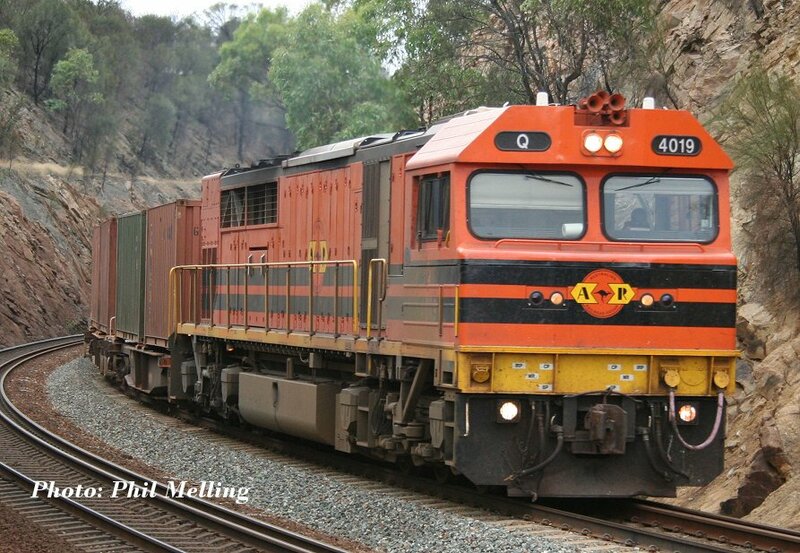 P2501 is being delivered to Perth for a rebuild at United Rail at Bassendean. 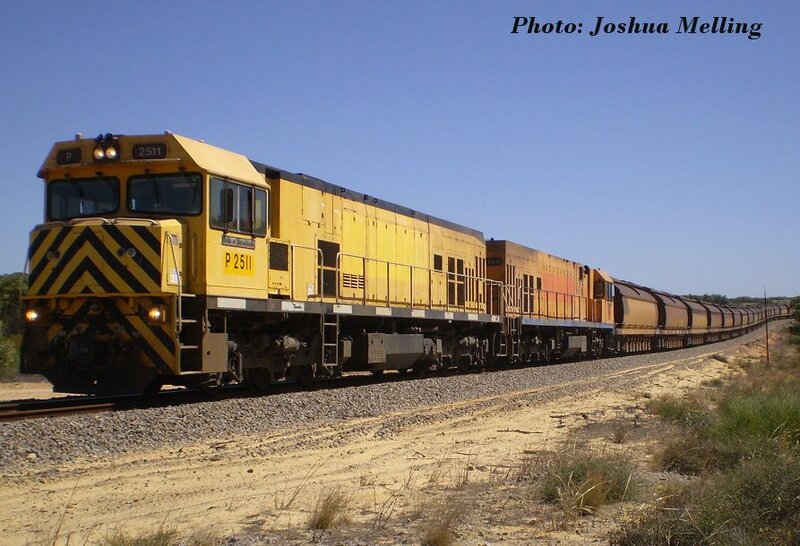 P2510 hauls a loaded mineral sands train near Georgina (north of Walkaway)towards Narngulu on 7 July 2007. 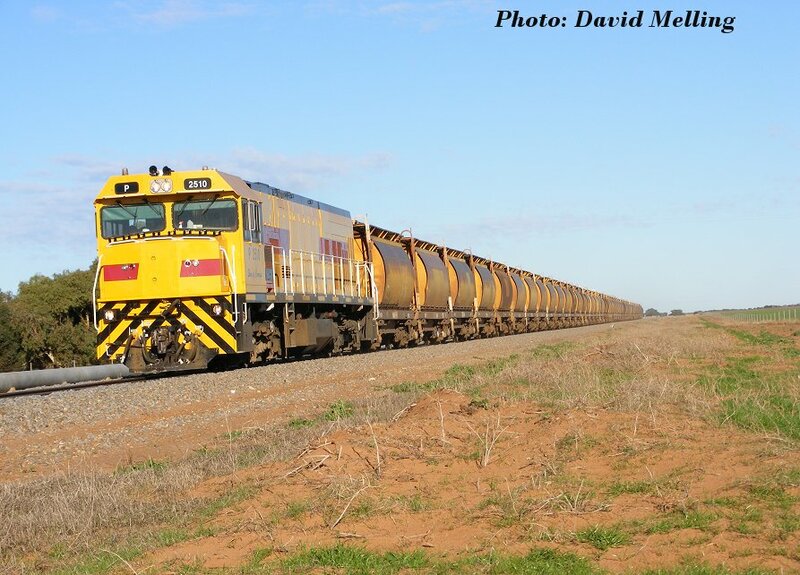 DAZ 1902 hauls a loaded quartz train just south of Mogumber heading to Perth. 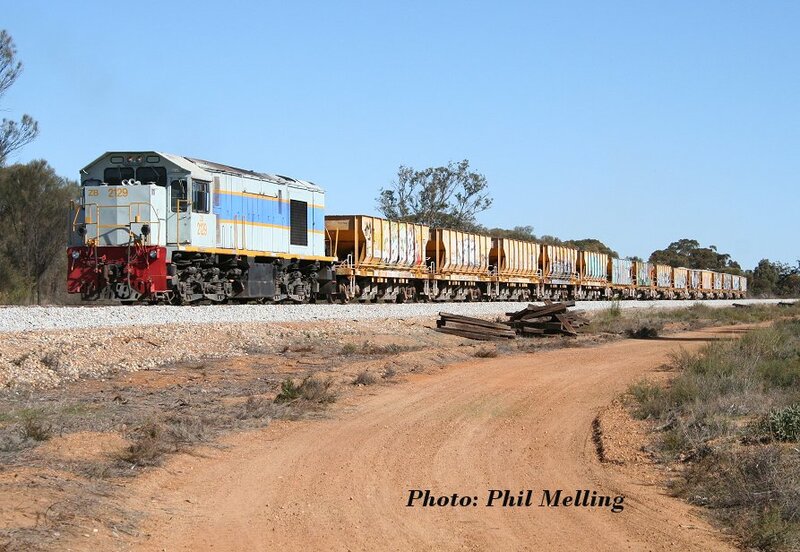 The quartz is loaded at Cairn Hill (north of Moora) and is hauled through to Picton near Bunbury. Photo taken 4 June 2007.